A comprehensive post on how to make clarified butter, ghee, and brown butter — and the difference between all three! Hi, let’s talk butter. Ghee vs. clarified butter. Brown butter vs. clarified butter. All types of butter! I don’t discriminate. Are you familiar with clarified butter? I’m sure you are! A lot of people have a tendency to associate it with crab and lobster meat dunking or, sometimes, hollandaise sauce, but that doesn’t even begin to cover this stuff’s potential. It is basically liquid gold. Or, more importantly, liquid gold in the cooking world. It’s possibilities and uses are endless. To sum it up, butter consists of three things: butterfat, milk solids, and water. Most generic store-bought butter is generally 80% butterfat, 16-18% water (yes, really! ), and about 1-2% butter solids. In fact, butter is required to be around 80% butterfat in the states. 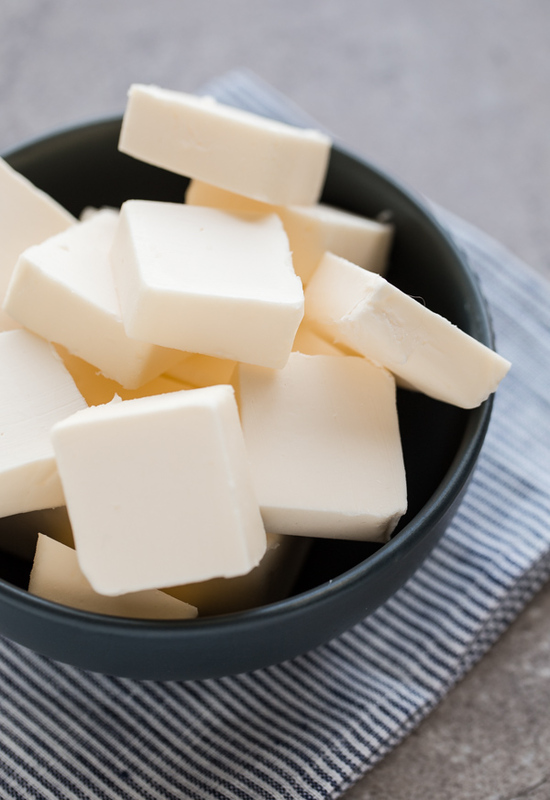 Most European butters (or European-style butter, such as Plugra, which you can find in most grocery stores now) contain at minimum 82% butterfat. Homemade butter can be as high as 86% butterfat. 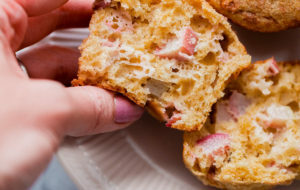 It doesn’t sound like a lot, but that small percentage of extra butterfat can make a huge difference in the baking world! The more butterfat, the greater the flavor, the less gluten will develop (tender, flaky pastries! ), yada, yada, yada. But that is an entirely different subject matter. I’m supposed to be talking about clarified butter, right? Well, clarified butter is essentially pure butterfat. No milk solids, no water, just pure butterfat. Why is clarified butter so special? Well, there are lots of recipes and dishes that call for cooking with butter. But, as I’m sure many of you have experienced, unless you are cooking it over relatively low heat, it has a tendency to burn and smoke extremely quickly. Not good. That is the result of those pesky (but delicious) milk solids. Once you make clarified butter and remove those milk solids, butterfat has a very high smoke point. Smoke point is a fancy way of describing the temperature that a fat can be heated to before it starts to smoke (and inevitably, burn). Normal straight-from-the-fridge butter has a smoke point of 350 degrees Fahrenheit. Sounds high, but that is actually one of the lowest smoke points of any cooking fat. When you are cooking over high heat (sauteing, searing, stir frying, etc. ), you are generally reaching temperatures in excess of 400 degrees Fahrenheit. So, what is clarified butter’s smoke point compared to other common cooking fats (such as extra virgin olive, canola, safflower, grape seed oil, etc.)? Clarified butter has a higher smoke point than coconut, grapeseed, lard or duck fat, sesame, canola, and even sunflower oil! Yes, all of those! Butter also has amazing flavor. Only three other oils can boast higher smoke points than clarified butter: safflower (the highest! ), rice bran (second highest), and refined olive oil (note: not extra virgin). Pretty amazing, right? Hence the liquid gold reference. Clarified butter became my life during culinary school. I can’t tell you how many pounds and pounds of it I made (or burned, oops) within that six-month period. I don’t want to know how many pounds and pounds of it I consumed. Making clarified butter is not nearly as intimidating as it sounds, but it does require low heat, patience and a watchful eye. Since clarified butter will last in the fridge for at least a month (usually, longer), I prefer to make a large batch of it at a time (i.e. minimum of 2 sticks – 1/2 lb of butter). 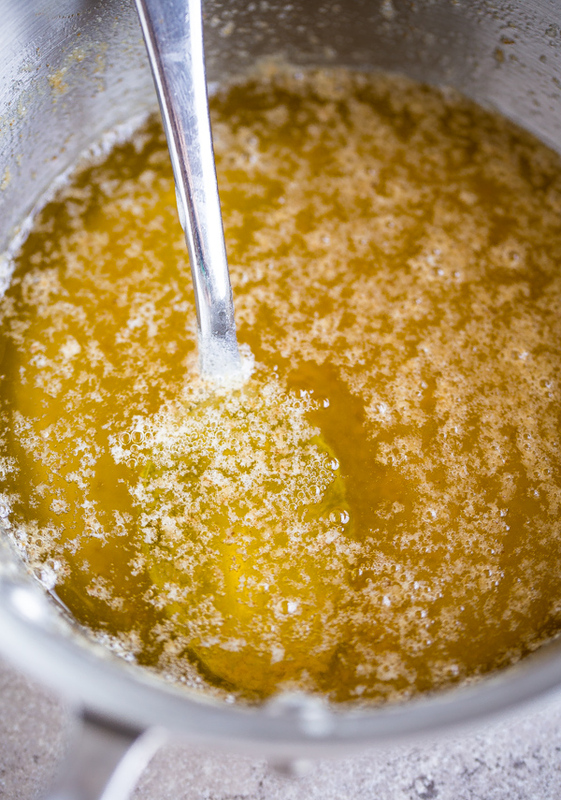 Generally, you can expect to lose about 25% in volume once butter is clarified (1 cup of butter will yield roughly 3/4 cup clarified butter). So how do you make it? As I mentioned earlier, clarified butter is pure butterfat. The goal is to remove the milk solids and allow the water content to evaporate during the heating process. 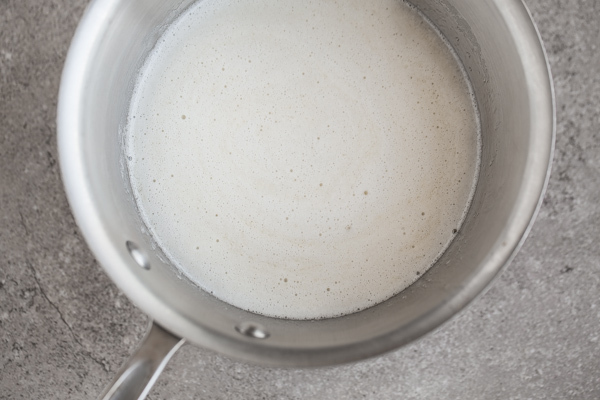 Once the butter melts and begins to heat, the butter will begin to foam (I carefully skim and remove the whey that rises to the top the entire time–don’t discard it!). It will also splutter (that is the water evaporating). The milk solids will slowly begin to sink to the bottom of the pan. You can tell when the clarified butter is nearly done when it stops spluttering (sign that the water has evaporated), and the bubbles become very, very small and you literally can’t hear much of anything happening anymore (see below). This is the stage where you need to be extra careful, as at this stage, the milk solids have sunk to the bottom of the pan and can easily begin to brown. For clarified butter, you do not want the butter solids to brown at all. 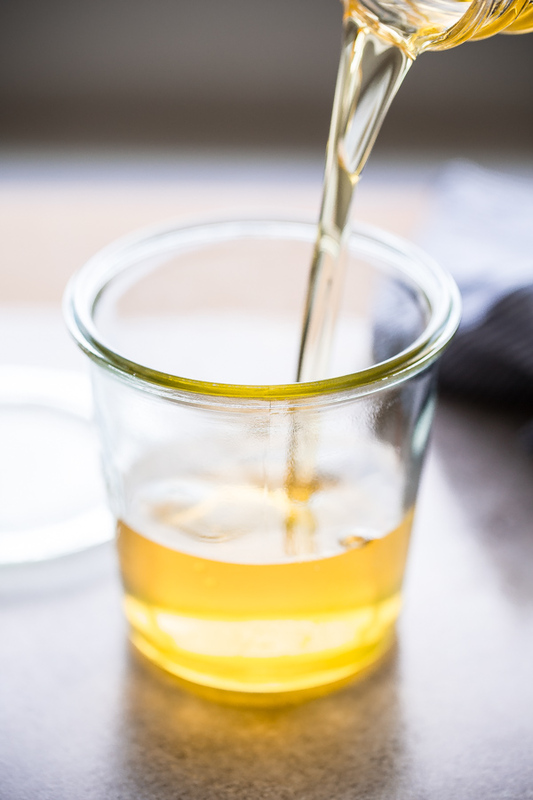 This is the crucial difference between clarified butter and ghee. 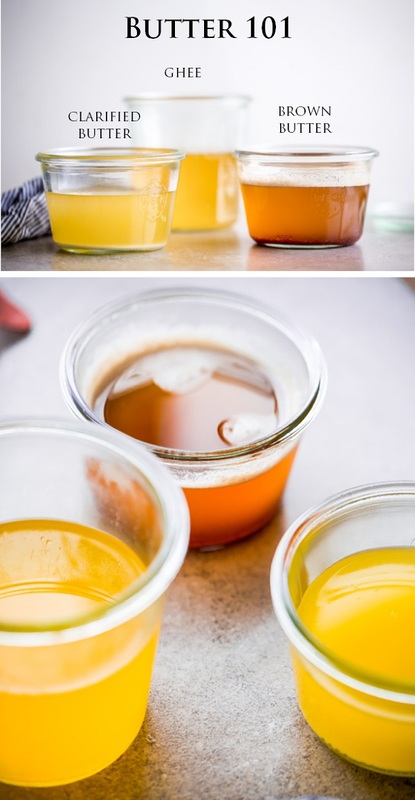 Remove the butter from the heat, allow it to sit for a few minutes, and then pour the clarified butter through a cheesecloth lined fine-meshed sieve, and into a heatproof jar to store! It should be clear and light yellow in color. Celebrate by making these smoked salmon potato tartines, these crepes with whipped meyer lemon ricotta, these swiss chard and feta phyllo purses, this 30-minute beef bourguignon, or practically anything your heart desires! 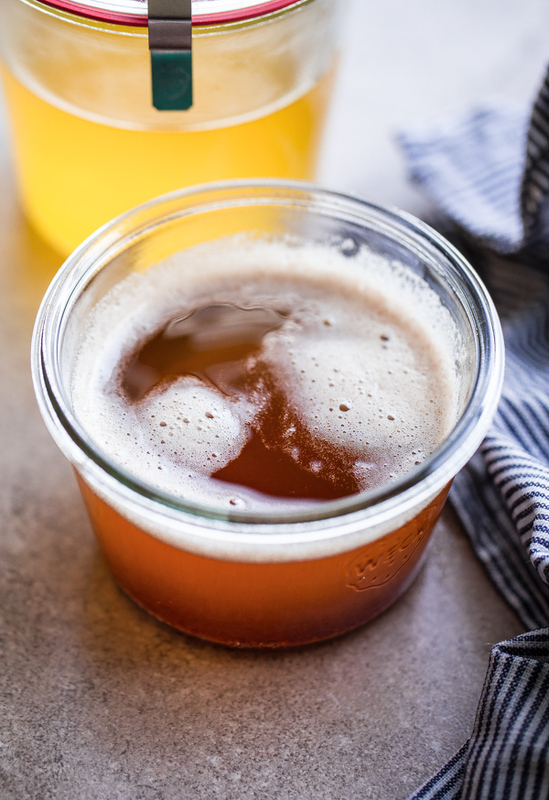 Have you heard of ghee? 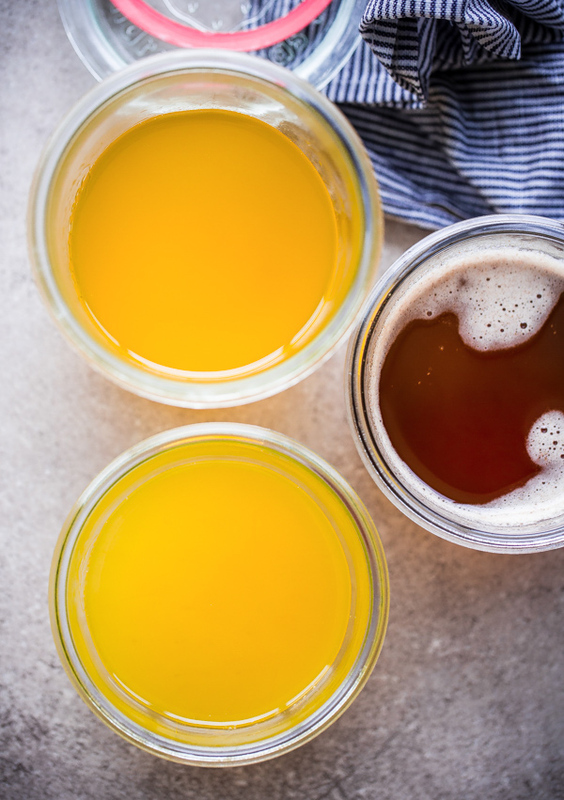 Are you wondering what ghee vs clarified butter is? Ghee is Indian clarified butter. 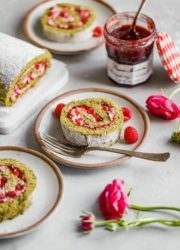 It is used in practically every traditional Indian (as well as other cultures) dish, and while it is the most unfamiliar of cooking butters, ghee has definitely become a cooking buzzword over the last few years. 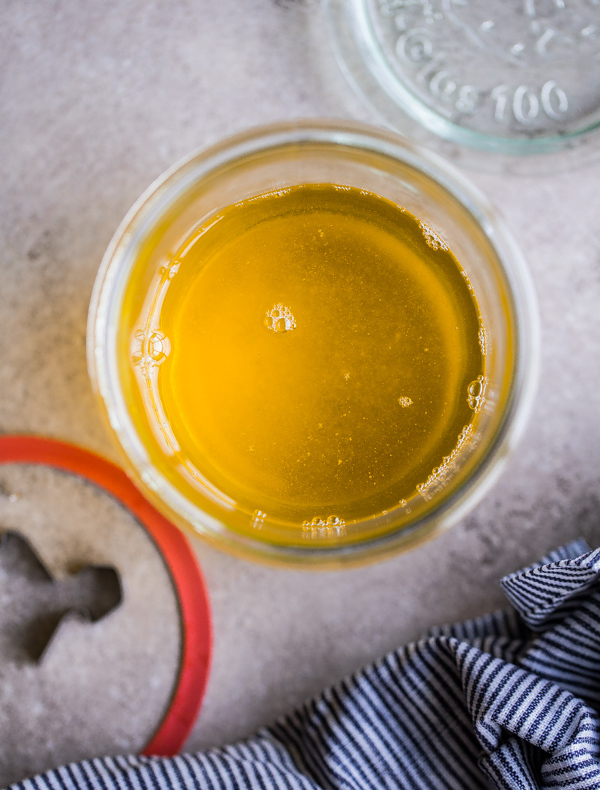 Traditional clarified butter and ghee are very similar (and can be used interchangeably for the most part)–check back tomorrow for a recipe using it! ), but there is one crucial difference between the two. Unlike clarified butter, which is cooked just to the point where the water evaporates and the milk solids separate (and sink), ghee is cooked until the milk solids begin to caramelize. If you’ve ever made true brown butter (I’ll get to that in a bit), you know that when milk solids brown, butter becomes very fragrant and nutty. Ghee has a little bit of that. Since the butter is cooked longer, ghee is also more golden in color. But like clarified butter, ghee does not contain milk solids and is pure butterfat. Once the milk solids caramelize lightly, the next step is the strain it, as you did with the clarified butter. Ahh, yes, brown butter. Brown butter is that magical thing that happens when you allow the milk solids in butter to caramelize…but you take it one step further. Maybe two to three steps, actually, if we’re getting technical. 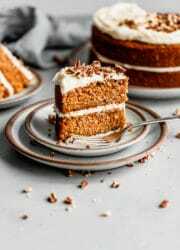 You’ve probably accidentally made it on the stove many times, experienced that split second where you go, “Woh, what is that amazing thing that smells so good, like caramel, toasted nuts, and all good things in life?! !”, and then within five seconds of that, cursed an expletive because you got distracted and it turns from perfectly golden brown to….black (and burned). Seriously, brown butter happens just before regular butter begins to burn (i.e. not good), so you have to be extra careful when making this stuff! The critical difference between clarified butter and ghee, and its somewhat related cousin, brown butter, is that brown butter contains the milk solids! Yes, you get to keep and use all those delicious golden brown milk solids. Brown butter is also cooked much longer than ghee, to the point where the butterfat turns a deep amber brown. The more golden, the better! It has ridiculous flavor! 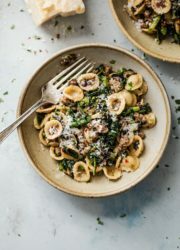 You can certainly cook with brown butter, but since it does contain the milk solids and has already been cooked, it is better added to a dish at the last minute or cooked over very low heat (for a very short amount of time). The absolute best thing to make with brown butter, in my opinion, is baked goods! All the baked goods! 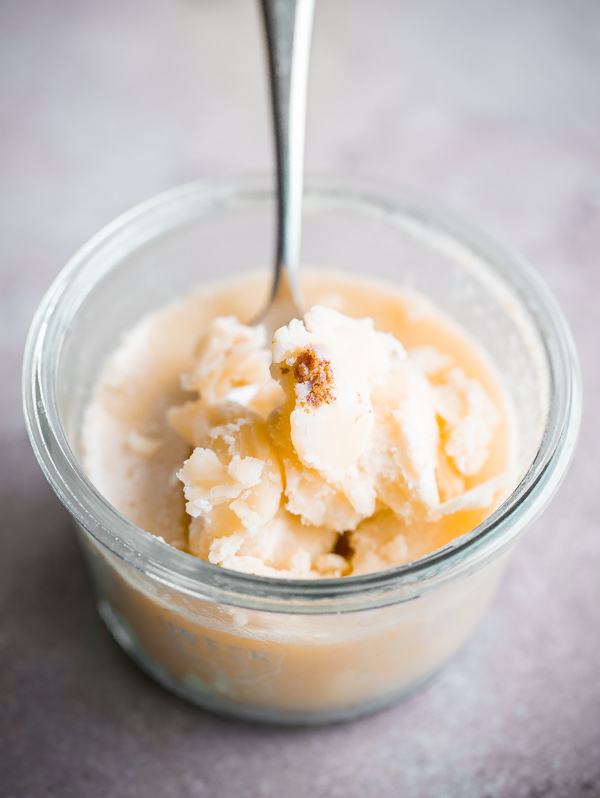 After you make the brown butter, put it in a container, allow it to solidify in the fridge, and use it in place of regular butter in practically any recipe. Melt it again and add it to a glaze! Make frosting! Bake some brown butter banana bread! 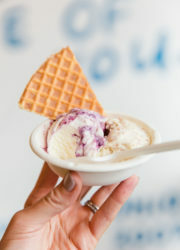 Heck, churn it into ice cream! Seriously, the world is your oyster. Easy tutorials for how to make clarified butter, how to make homemade ghee, and how to make brown butter. Line a fine-meshed sieve with a few layers of cheesecloth and set over a large heatproof measuring cup. Set aside. Cut the butter into 1/2-inch slices and place in a medium saucepan. Heat the butter over low heat until completely melted. Allow the butter to simmer over low heat, as the butter bubbles and splutters, foam–or whey proteins–will begin to rise to the surface. I use a metal spoon and carefully skim the surface (do not stir the butter) to remove the foam during the entire cooking process (I have a small bowl set aside for it). This allows you to see the butter and watch it more carefully. Don’t throw out the foam, it can be stirred into sauce, tossed with pasta, etc. Adjust the heat as necessary. Once the foam dissipates (time will vary depending on quality and quantity of butter) and the butter starts spluttering, very small, clear bubbles should form on the surface of the butter. This is a sign that it is almost finished cooking, watch carefully. 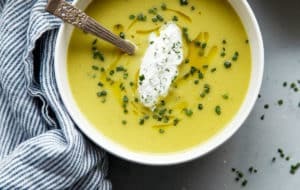 Remove the butter from the heat immediately, allow it to sit for a few minutes, skim any remaining foam that rises to the surface, and carefully pour the butter through the cheesecloth lined sieve, leaving the solids on the bottom of the pan. Allow the butter to cool before transferring to a heatproof jar or container. Use or store in the refrigerator (it should keep for at minimum a month, if not significantly longer). Once the foam dissipates and the butter stops spluttering, continue to cook the butter just until the milk solids begin to caramelize and turn golden brown on the bottom of the pan. It will be slightly more golden in color than clarified butter, and just begin to have a light nutty fragrance. 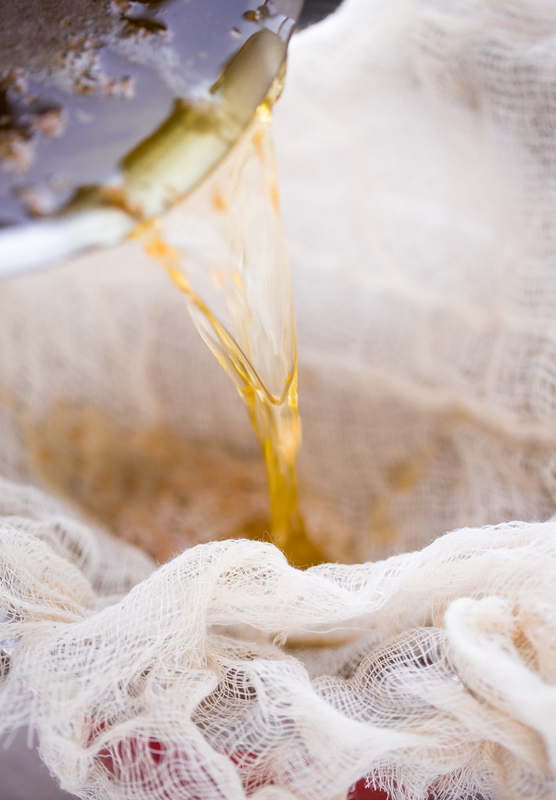 Remove the butter from the heat immediately, allow it to sit for a few minutes, skim any remaining foam that rises to the surface, and carefully pour the butter through the cheesecloth lined sieve, so that the cheesecloth catches the milk solids. Allow the butter to cool before transferring to a heatproof jar or container. Use or store in the refrigerator (it should keep for at minimum a month, if not significantly longer). Allow the butter to simmer, at this point you can increase the heat to medium to speed up the process (however, watch it carefully the whole time). 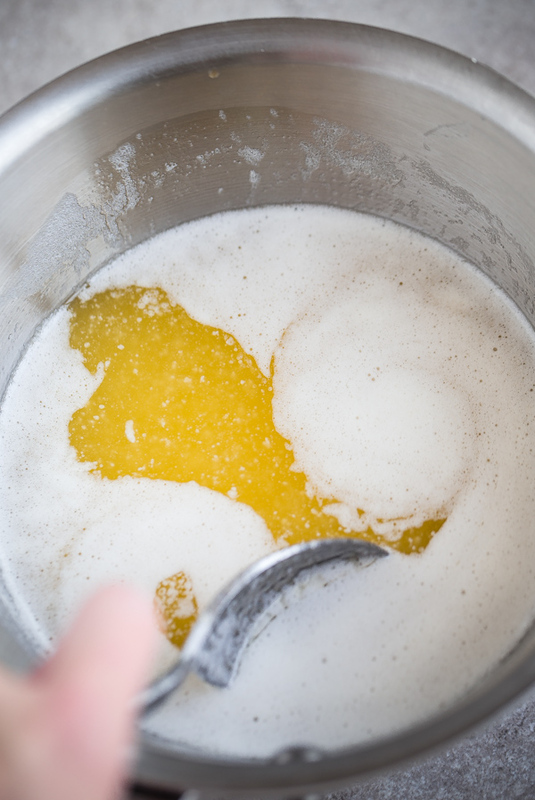 Continue to cook the butter as it splutters and bubbles, stirring continuously with a rubber spatula and scraping the bottom of the pan continuously (this will help the milk solids caramelize more evenly). 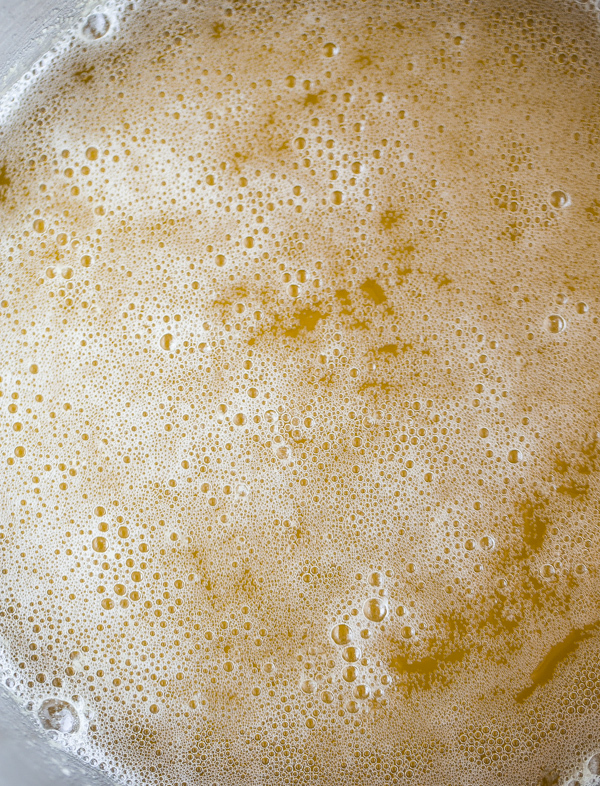 The foam will eventually subside, small bubbles will form, and the milk solids will begin to caramelize lightly. Reduce the heat to low and swirl the pan until the butter becomes fragrant (nutty) and a light amber in color. 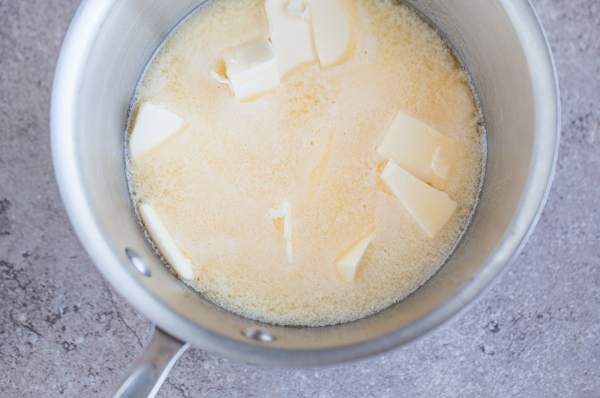 Turn off the heat immediately (the butter will continue to cook) and transfer the butter to a heatproof bowl, be sure to scrape any remaining brown bits that stick to the bottom of the saucepan into the bowl–this is the best and most flavorful part of brown butter! Cool the butter, and then store in a glass jar or container. 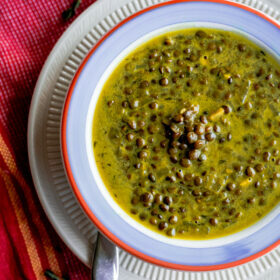 Use or store in the refrigerator (brown butter will keep for at minimum a week, if not longer). P.S. Did I seriously just write 1500 words about butter? My grandmother would be so proud of me right now! This was soooo informative, helpful, chock full of both science and practical tidbits, and stunning photography! Pinned!! Thank you for taking the time to do this post!! Oh yay! Thank you so much Becca! A whole post on butter? I love it!! 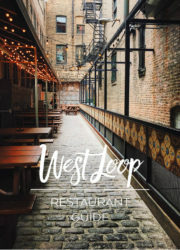 So much info here and great tips. I actually made ghee for the first time ever last week and am in love with it! I know, crazy right? And I wrote a lot of this in a coffee shop, and I’m pretty sure people were looking over at my labtop screen thinking, what the heck?! 1500 words of golden love! And do informative – thank you for writing and sharing this! Golden love! 🙂 Love it! 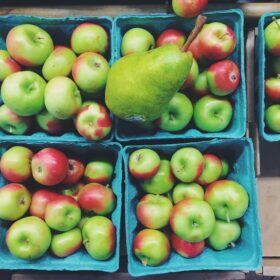 Such an awesome post and such a great resource. I love it so much! Thanks so much friend! Means a lot! This is one super helpful informative post!! Kudos to your girl! No crickets here – this is fabulous! Super helpful, beautiful pictures, and some science. Love it! I’ll definitely be saving this one. Thank you so much Sarah! Glad to know it was helpful! What a great post, pinned for future reference. Thanks Laura! Thank you so much Cheri! So happy you liked it, I had a lot of fun with this one! Loveeeeeee this post!!! I love eating butter, cooking with butter and learning about butter! What a great informative post! This is a great post and reference. I must admit that I hadn’t really ever been clear about the difference between clarified butter and ghee. But now I know! Oh thank you!!! I love her writing, so that is a big compliment! (And yes, I use all food groups, except the really bad ones like artificial colors, etc. haha!) Thank you Maddy! Very informative. I always thought making clarified butter is really hard, but after reading this I feel like I can do it. Thanks for all this great information..
Great post. Thanks for all the great info. Laura, Love, love this post… almost as much as I love butter in all it’s forms! That was a very informative, interesting, and fun post to read.Thanks so much! I had no idea there was a difference between clarified butter and ghee.- Can it also be considered “ghee” if we make clarified butter (as outlined)…and then later on (when the mood strikes ;)) put it back on the stove and brown the clarified butter to make ghee?Thanks again! Great work on this. Informative and scientific reasoning with it . I love it. Question though. My wife made what I considered to be clarified butter as it was completely yellow. When I made the next batch , it turned that golden brown color, I strained out the brown milk solids on the bottom. Was this ghee or Brown butter ? Hi Doug! If you strained out the milk solids, you made ghee. Brown butter contains the milk solids, and usually is a bit dark in color. Hope this helps! It should last a while if you store it in the fridge. I’m totally tardy to the party (yep, went there) but let me just tell you, I AM IN LOVE WITH THIS POST. So, so in love. Thank you for filling my brain with all the butter knowledge!! Does brown butter have whey & lactose? I made it accidentally and am trying to make ghee due milk intolerances. Yes! Since you are not straining brown butter (the brown milk solids give it the most flavor), it does contain whey and therefore, lactose. Hope this helps! I noticed that Sophie asked if it would be possible to convert clarified butter into ghee — sadly it’s not. When you have finished clarified butter, you’ve already gotten rid of the solids. Thus you can’t caramelize them to make ghee. Personally, I tend to make ghee, unless I know I need clarified butter. Brown butter I tend to make just before I need it, unless I’m going to need quite a bit. Hello! Great post, I just found it google-ing about ghee vs butter and etc..I have a question that may be silly but I am no food scientist 😉 Can you make brown ghee? 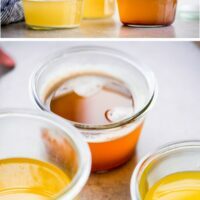 Like heat ghee to the point it becomes nutty like brown butter or is that impossible?Thanks for the great info and site! I actually wondered the same thing? When making ghee, I cooked it too high and I just stopped at some point and strained it. Turns out, I’d made brown butter, unknowingly, and discovered something for which there are few things during my time on this planet that rival how utterly fantastic caramelized butter both smells and tastes!! Brilliant article. Simple to understand and very instructive. Excellent. Clarified butter is pure butterfat; no water or milk solids. I suppose it is safe to assume, then, that coconut oil is pure pat as well. In that case, I have a question for you. Many people claim that you substitute coconut oil for butter. With some recipes, I have found this to be true, but for others, I have found that they become too oily. I think this has to do with the fact that that I have added more fat to the recipe with the oil instead of the butter. What are your thoughts on this? 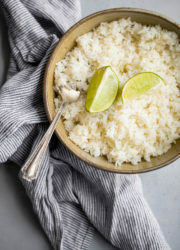 If we want or need to use coconut oil for butter, is it really a 1:1 ratio or do we add slightly less coconut oil (and if so, how much less?) Thanks so much! I was making ghee from unsalted clarified butter. But as got busy, put it little longer on heat which turned it into very dark brown color. Filtered it & put in a jar. Is it OK to use this in dishes from health point of view? Yes! You most likely just made brown butter. If its black, I would toss it (mostly because it won’t taste great), but if it is dark brown, you can use it for cooking! It will have a very nutty and fragrant flavor. 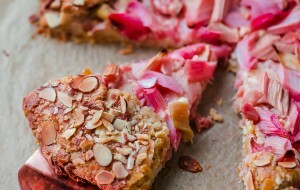 If you solidify it in the fridge, it would be excellent for baking as well!! So, I made this yesterday but didn’t read to leave the milk solids on the bottom. I poured everything through a strainer. Does this mean there is still milk solids in my ghee and it’s not in fact ghee? Can I heat it up again and do it correctly? It isn’t any healtier, but for people with lactose intolerance it allows them to have butter without as much of the proteins that trigger reactions as those are the milk solids left behind. Do you have any recipes for the leftovers? Id hate to throw it away just to find a use for it later. I don’t like to be wasteful. Thank you for this article! Is it possible to make a ghee which ends up being brown…or does this mean there are still milk solids in it? I melted the butter on low for quite awhile continuously removing the foam as soon as it would appear. When the butter was nearly melted, I added sliced organic garlic cloves and increased the temp to medium. The butter came to a soft boil, and I allowed it to boil until there were no more bubbles or foam coming to the top. At this point, the butter had turned brown and dark brown particles were at the bottom. I carefully removed – with a fine wire mesh strainer lined in cheesecloth the remaining small amount of foam and all the garlic from the surface. At the bottom were dark brown particles. I poured the mixture through a large fine wire strainer line in cheesecloth to remove all the particles. The resulting butter was dark brown with no particles. Being dark brown, does this mean I did not remove all the milk solids? Or, is ghee able to become dark brown on its own? Thank you in advance for your assistance. I’m making garlic-infused ghee for a friend who is lactose-intolerant. I’m trying to find out if I can use the brown solids at the bottom of the pot in other ways? Or is it just the whey that comes to the top that can be used? Don’t know where you got your numbers, but avocado oil has a smoke point between 520°F and 570°F. Hi Penny. Thank you for pointing this out – I was mistaken when I originally wrote this article (which was over four years ago, when avocado oil wasn’t readily available). The smoke point of oils really depends on how they’re processed (certain high quality extra virgin olive oils have higher smoke points than lower quality olive oils), so it’s not black and white. I’ve edited that out though, however all of the other oils that I mentioned are well below clarified butter’s smoke point. Thank you for your feedback! First of all, fantastic post. Thank you!! 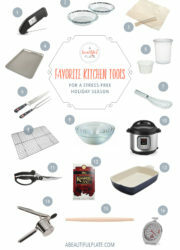 I love brown butter, but now I’ve entered a new world of options and can’t wait to try! !Second, is there any reason I couldn’t use the pure butterfat at the browned butter stage in the same way that you would use ghee or clarified butter? Would it just have a significantly different taste? Do you think it would last as long as the ghee and CB? I have a recipe for brown butter ice cream which basically has you brown 1lb of butter and then removing as much of the butterfat as possible to use the browned solids in the ice cream base…leaving me with a whole of butterfat which is past the ghee stage.If this remaining butterfat is not useful or dangerous to reheat, my other thought on this would be to basically ladle out a lot of the butterfat at the earlier stage and then caramelize the solids in a smaller amount of butterfat…does that sound like it would work? Thanks for any thoughts and input! Thanks for the info on butter. I did not know about Ghee. Great article, very informative. 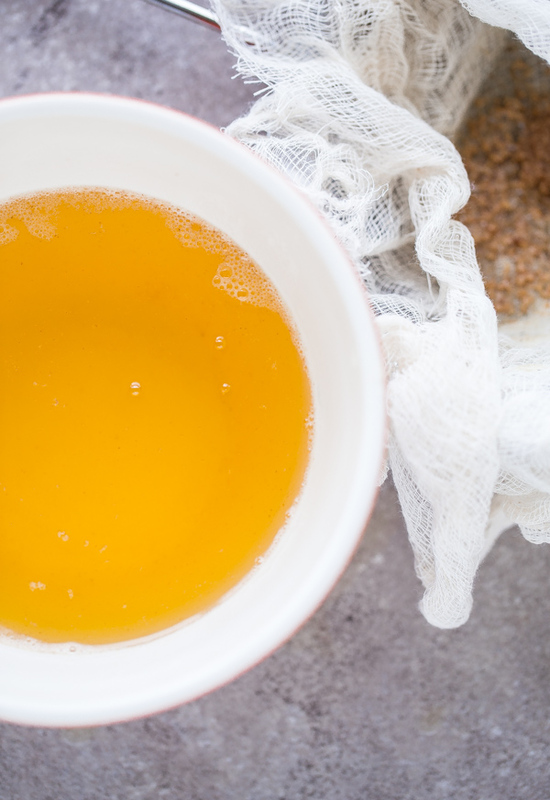 In the first part of the article when you are describing making the clarified butter, you mention not to discard the whey that is scooped off. I couldn’t find anywhere in the remaining article that came back to that. What do you do with the whey?